Dr. Rao Fu received her BA in Finance from Peking University and PhD in Economics from University of Texas at Austin. 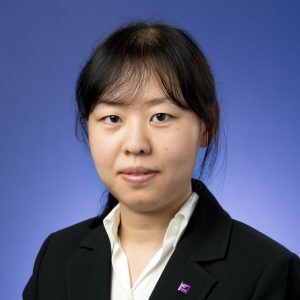 She is currently a Lecturer in Department of Decision Sciences and Managerial Economics at The Chinese University of Hong Kong (CUHK). She taught at the University of Hong Kong before joining CUHK in 2012. Dr. Fu’s research interests lie in industrial organisation, game theory and econometrics. She teaches several courses in microeconomics, macroeconomics and financial economics at both the undergraduate and graduate levels. Jie Cao, Rao Fu, and Jin Yong (2017), “International Diversification through iShares and Their Rivals,” Journal of Risk, 19. Rao Fu (Working), “A Theoretical Study of Incremental Bidding in Competing Simultaneous Auctions”.